Home › Cards › Credit Card › Petrol Credit Card › Is RON97 Really Better Than RON95? (Part 2) – Tried And Tested! Is RON97 Really Better Than RON95? (Part 2) – Tried And Tested! When it comes to cars, everyone appears to be very concerned with fuel economy and performance. Recent fluctuations in petrol prices have further scintillated such conversations among Malaysian drivers. 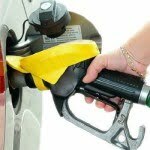 So, which type of fuel offers the best mileage and performance? More importantly, how do we measure that and why does it matter? Our recent article on RON97 versus RON95 has received overwhelming response from our readers. Majority of the feedback is against the article perpetuating that RON97 petrol does not actually give you more financial leverage than the cheaper RON95. We have dug deeper, and ran some tests with the help of automobile experts to measure the changes in horsepower and torque that entails the respective usage of the two fuel types. For the purpose of this experiment, our experts used a dynamometer (dyno). A dynamometer is sort of like a treadmill for cars and is used to measure primarily horsepower and torque. The reason why we use a dyno test is because it lets you test a vehicle in a controlled environment, limiting the number of variables in your test such as different road conditions, traffic or even driving styles. To ensure our results were as consistent as possible we also used the same car and the same driver to conduct all the tests (no it wasn’t me). Before we started, we drained a stock Myvi 1.5 completely off fuel, before filling it up with exactly one litre of RON97. Granted, you will definitely not drive like this most of the time on the streets, but again, we are trying to prove this test scientifically and therefore removing as many variables as possible. In this dyno test, the engine is revved to its maximum capacity repeatedly (for multiple tests) until the fuel tank is completely empty to calculate the amount of mileage*, horsepower and torque the engine can produce with one litre of RON97. We came, we saw, we tested and here are the final test results! Read on for a more detailed explanation below. Surprisingly, and contrary to popular belief, our dyno test revealed that RON95 actually gives you about 9.4% more mileage than RON97. While we drained the Myvi completely off fuel, there is a possibility of “old” fuel left in the fuel lines, but this should not affect the test results significantly. Our dyno was not set up to measure mileage and we used the in-car tripmeter to measure this and we will admit that it was not the most accurate way to measure mileage in this scenario. We tried to be as consistent as we could with each test run. However, it is worth noting that variables in real-life such as the load on your car, road conditions and even air resistance will cause this particular result to differ even more. Even with the different variables, taking everything into account and giving the test a 5% margin of error, RON95 still gives you quite a bit more in fuel economy (especially considering it’s quite a bit cheaper than RON97). Many people believe that engine performance and horsepower can be improved by using fuel of higher octane than what is specified by the engine manufacturer. Some even claim they experience a faster and smoother ride with the more expensive RON97. While our dyno test demonstrates that our Myvi’s engine does indeed produce more horsepower with RON97 than with RON95, the difference is less than 1% and only occurs at about 6.3k RPM. This means it is unlikely have a noticeable effect in your daily driving experience. We maintain that switching to a higher octane fuel has no proven effect on your engine performance and cannot help your engine develop more horsepower. Yoda, your fuel is not. An interesting result that we were not expecting: Our dyno test results showed than RON95 petrol produced slightly more torque than RON97. Though the difference is very minimal, a Myvi on RON 95 would beat one running RON 97 in a short sprint. However, the slight difference in torque is unlikely to bring about a noticeable impact on your daily driving experience. While our findings consistently indicate that using RON97 petrol does not give you better mileage or produce any performance-enhancing benefits, it is worth noting that the Myvi 1.5 we used has been optimised for RON 95 fuel usage. Referring to the graph above, RON95 consistently produces higher horsepower from RPM 2 to 6.3, where RON97 picks up at a short interval. The net effect is that you’re actually getting less power from your car by running it on RON97 versus RON95. Conversely, if you do drive a car that specifically requires you to use RON97 (like the Suzuki Swift Sport), NOT using this premium fuel would likely cause your car to perform less efficiently. The key takeaway here is, unless your car’s engine specifically requires RON97, there is really no point in spending more on premium fuel as it does not really give you an added performance advantage. As of January 2017, under the managed float system, the price difference between RON97 and RON95 is a mere 30 sens for every litre, or RM15 for every 50 litres. Though the prices were much cheaper in the month before, the price difference was 35 sens per litre, or RM20 for every 50 litres in December 2016, when prices of RON97 and RON95 were RM2.25 and RM1.90 respectively for the month. The same amount of RON97 and RON95 petrol had cost just RM112.50 and RM95.00 respectively in December 2016 – about 6.7% and 1o.5% less than what we are paying in January 2017. RON97 currently costs about 14.3% more than RON95, so it really does not make much financial sense for consumers to pay this premium if their car does not require it, and also given the fact that using RON95 for a RON95 engine will give you more horsepower, torque and mileage. As the saying goes, “a penny saved, is a penny earned,” and saving a few bucks in fuel may just mean you will be able to have more on your plate of mixed “economy” rice (whose prices aren’t going down, by the way). You can read the first part of our article here. Other than opting for the cheaper fuel, you can also save on petrol expenses by using the right credit card. Start here. This article was first published on February 17, 2015.